PCI DSS Compliant in accordance with RBI guidelines. Trusted by over 15k merchants and 250k customers. Create multiple stores as per your requirements with no setup and maintenance charges. Just create your products and add it to your webstore. Share your webstore link with your customers on any platform and get paid online. You can sell Physical Items, Digital Items, Event tickets or Services. A simple way to reach your customer for payments using our several link solutions with integrated QR code, Easepay and Quickpay can be circulated using integrated Email/SMS, whatsapp or any social media. Need a payment gateway for your website? 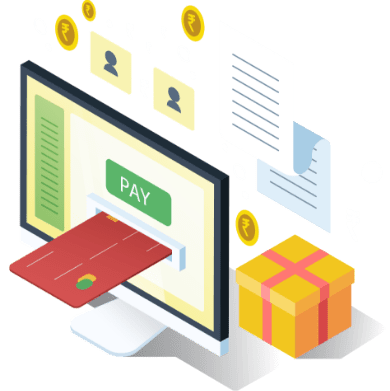 We provide payment API’s for your website which can integrate on any platform. With fraud detection and prevention mechanism, we provide the most protective layer for each transaction.We are also PCI-DSS compliant. Is your admission and fees collection process too complex? We provide single platform where any educational institute can go paperless & collect payments online for their admission process, fee collection & much more. focus more on your business. We allow you to get started with your online business immediately. No formal documentation process. Just sign-up and get started in 24 hours. We are a free portal. We do not charge anything until you do your first transaction through us. Check out pricing for more details. We notify both the buyers and the sellers via email and SMS upon each sale. The sellers are also notified once we do a payout to their bank accounts. We maintain transparency on every sale that you do! Why 15,000 + Merchants love Easebuzz? "The event was a great success, and your product and team had a big share in it. My team and my Guru, Ranjan Phadke have asked me to convey their appreciation for the support received. She said, she was skeptical about the online ticket booking concept, since it was the first time she had ventured in to it.However she is pleased with the experience and would consider easebuzz for her next event and recommend it to her contacts." "The best part about easebuzz is the ease with which the platform could be used. All i had to do was upload 2 documents and everything was taken care off. I could create my payment links in 5 minutes and could get started. Payouts and transaction charges are very well taken care off. I need not worry about my payouts as the entire process is automated." "I have never had any problems with your service of payment Gateway, we have had an account with you and I am always happy with your service and prompt reply. Sales and services persons are very friendly, I have recommended you to a couple of my friends." "We are using Easebuzz payment gateway for more than a year now. 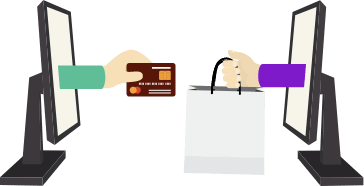 The best thing about Easebuzz is, it is absolutely simple and ease to set up your own online shop and start getting your payments online with utmost ease. Thank you easebuzz for making our life simple." Subscribe to our newsletter today & stay updated, always.